Iranian military officials have warned of extracting “revenge from foreign intelligence services”, as Reuters reported that an aggressive campaign against Tehran has been launched by Washington. On Sunday, the Reuters news agency said that senior officials in the administration of US President Donald Trump had launched a concerted offensive “meant to foment unrest” in the Islamic Republic. Citing information from “more than half a dozen current and former officials”, Reuters said that the US offensive is directly supported by President Trump’s Secretary of State Mike Pompeo and his National Security Adviser John Bolton. 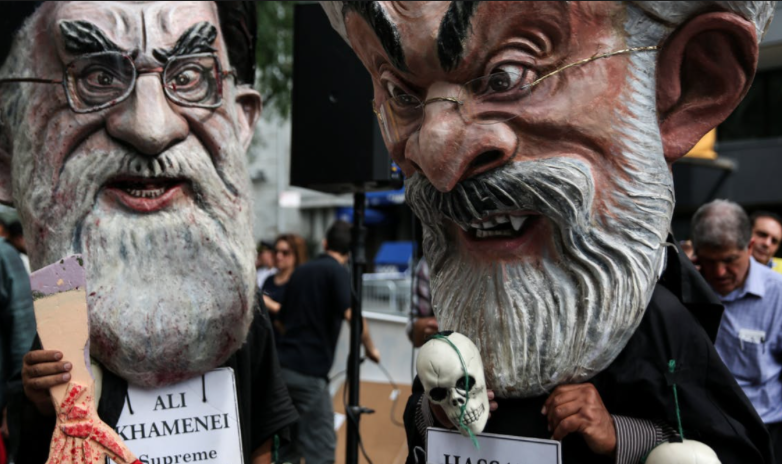 Both officials are known for their aggressive stance against the Iranian government. The campaign, said Reuters, is meant to “work in concert” with President Trump’s push to “economically throttle Iran”. The US leader announced a series of economic sanctions on the Islamic Republic and has intensified his critical statements against Tehran after May of this year, when Washington pulled out of the Iran nuclear agreement. Known as the Joint Comprehensive Plan of Action (JCPOA), the international agreement was reached in 2015 between Iran and a group of nations known as the P5+1, namely the five permanent members of the United Nations Security Council plus Germany. As part of the deal, Iran agreed to halt its nuclear weapons program in exchange for an end to economic sanctions by the West. But President Trump abandoned the agreement, saying it was a form of appeasing Tehran. Meanwhile, a spokesman for the Iranian Revolutionary Guard Corps (IRGC), arguably the most powerful branch of the Iranian Armed Forces, issued a warning on Sunday against “foreign intelligence services”. The spokesman, Brigadier General Ramezan Sharif, said Iran would take revenge on foreign spy services “who try to disrupt the security of Iran’s borders”. He was referring to an armed attack that took place on Saturday in Iran’s northwestern Marivan region, near the Iran-Iraq border. The attack concentrated on an Iranian military compound in the village of Dari and culminated with the bombing of an IRGC arms depot. According to Iranian media reports, the explosion killed 11 Iranian border guards. Reuters said it contacted the White House and the Department of State about the alleged campaign against Iran, but that both declined to comment.